Ultra long beach curl lace front wig. 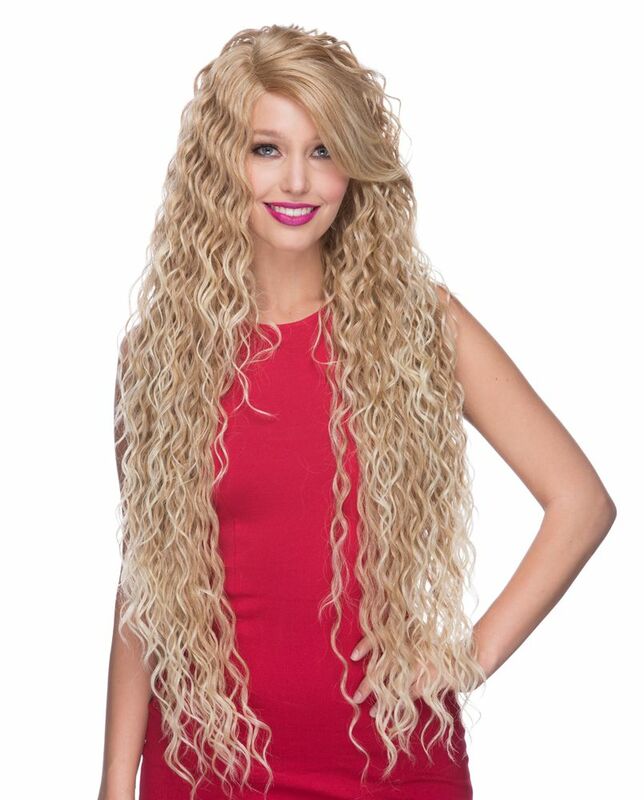 Lustrous beach curls in our silky, touchable synthetic fibers cascade down all the way to 30-32" length. Premium quality adult size wig.